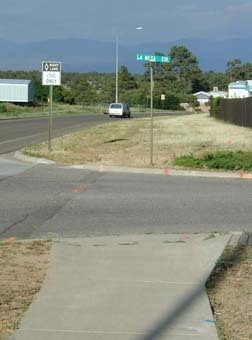 For safe walking, sidewalks must form connected pathways between likely destinations. What is the justification for the situations shown in these pictures? 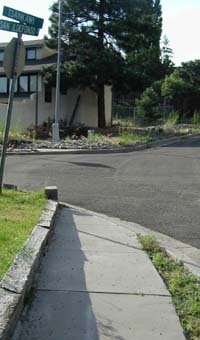 Disconnected sidewalks force pedestrians to make unnecessary (and often dangerous) detours. 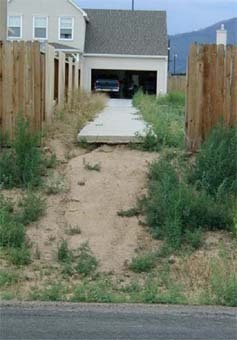 No sensible engineer would build roads where lanes arbitrarily disappeared, and we should expect the same level of commonsense design for walkways.